It’s safe to say that the off the shoulder silhouette is the neckline of the season. Don’t get me wrong, I love the look and am sure I have quite a few off the shoulder purchases ahead of me. 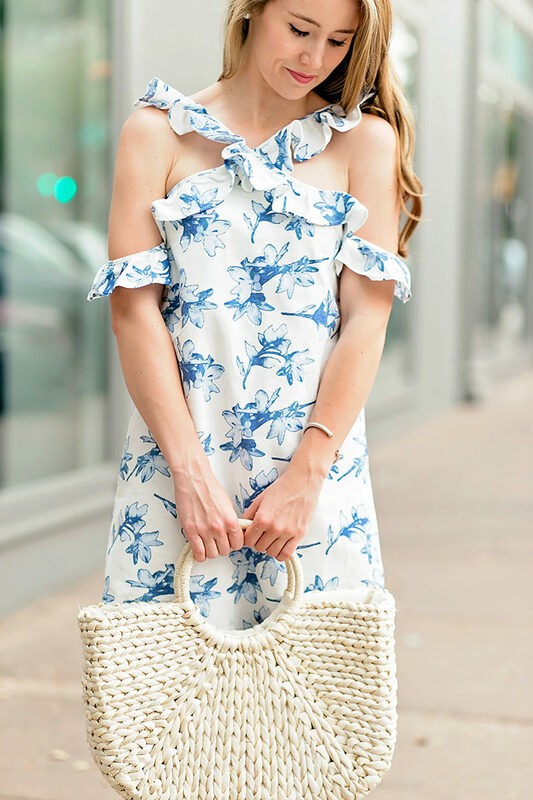 There is something to be said, however, about mixing things up, and this criss cross ruffle dress does that in the best, most darling way. 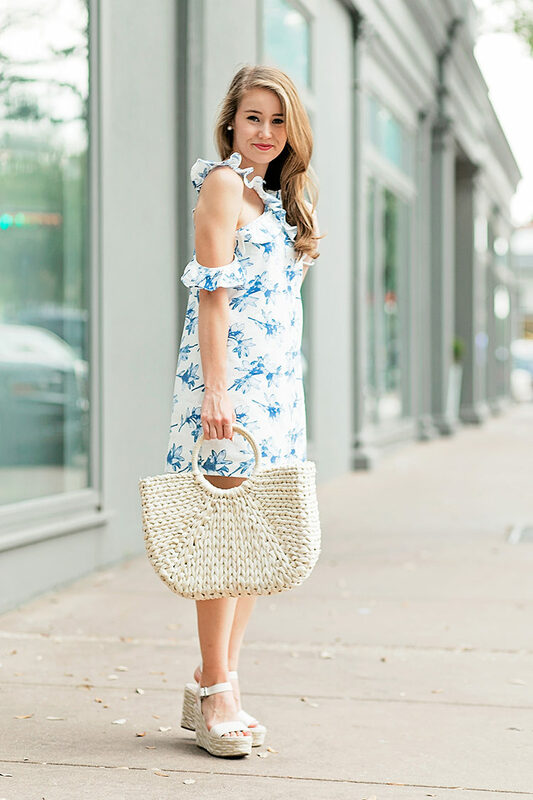 There are so many things to love about this number, from the fresh blue and white print to the gorgeous ruffle detailing. One of my favorite factors? The price. This frock is right under $100, but gives you the look of a whole lot more. 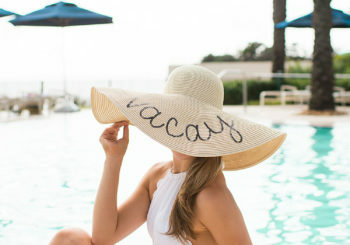 It’s already a contender for the fourth of July this year, and I have a few brunches and wedding showers up my sleeve that it will be perfect for! Before I sign off, I wanted to let you know that if you’re as in love with the print of this dress as I am, you’ll find it in the cutest two-piece set here! This look is darling! Such a classic color combo and beautiful print. 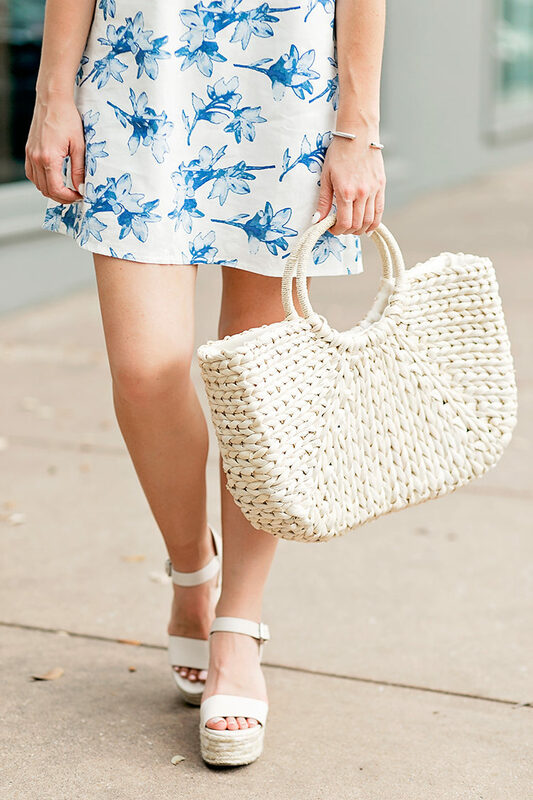 I agree – off the shoulder is really fun but it’s nice to have something different too! This dress is so darling, I love how it is so different from everything else. So cute! I am seriously in love with these platform wedges. It seems these puppies are everywhere! Love the look! You have a charm special.Salute from Loja-Ecuador. This dress looks so cute on you, Kate! I love the ruffles!